The sun had not yet crept above the horizon when we set out on the gravel road that leads into the wetlands next to our South Florida home. Mary Lou set a fast pace as usual, and again I fell behind. In her haste she walked right by an abandoned power pole along the road without seeing something interesting. Probably I saw it because the first rays were just hitting as I approached the pole. 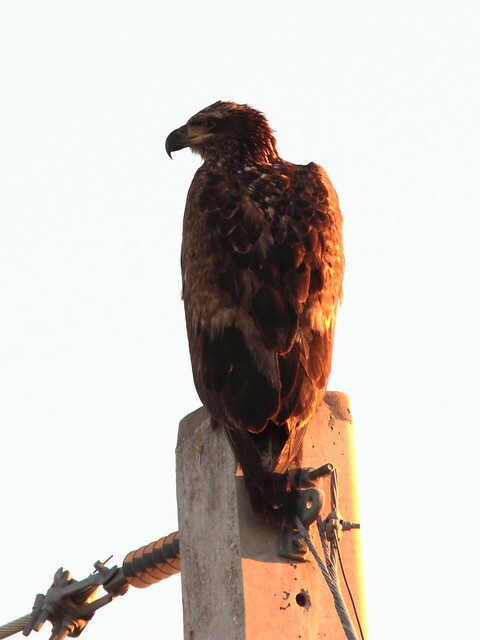 It was an immature Bald Eagle. I called her cell phone, but by the time she answered the eagle had flown away. I also stopped to see whether any Bobcats were prowling on the levee. Finding none, I turned back towards the road and captured the rising sun with my compact point-and-shoot Canon PowerShot A1100 IS. The photo turned out very poorly, as the sky was over-exposed and the foreground was almost black. 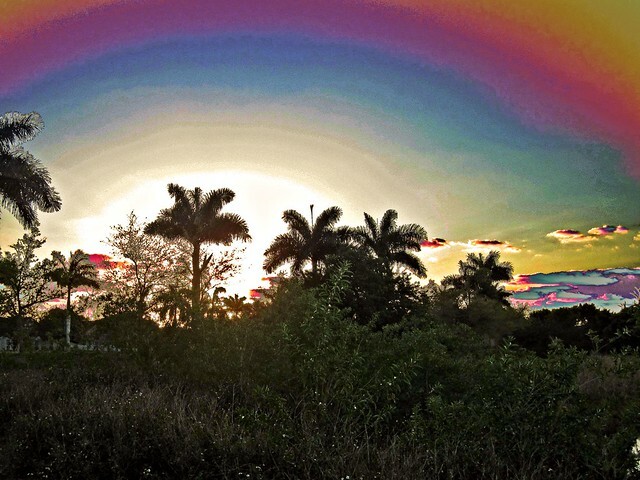 I tried to salvage the photo by using HDR software and got surreal results. 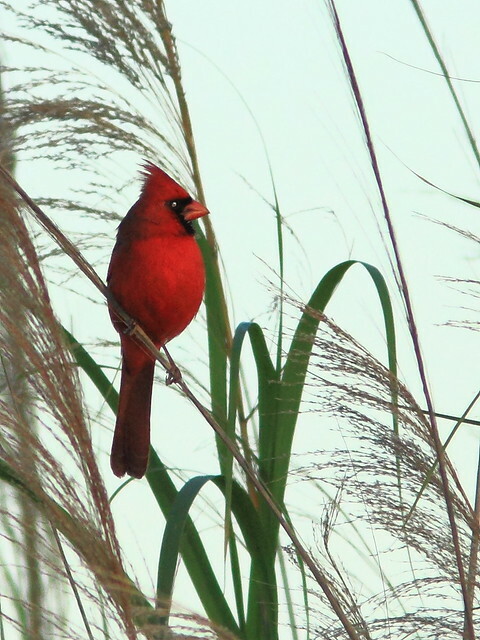 A Northern Cardinal perched in the high grass along the lake. 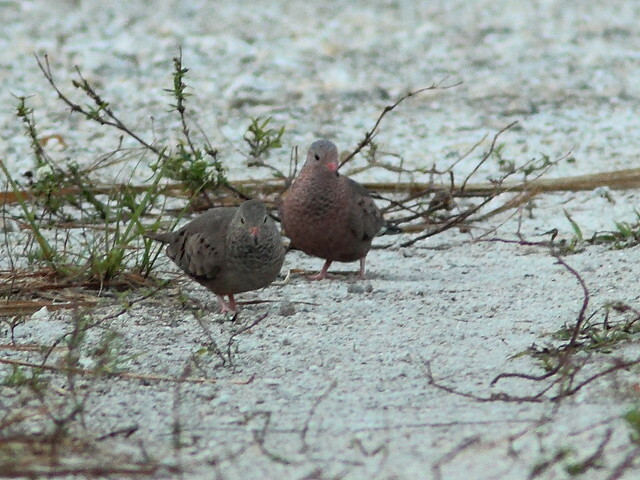 Common Ground-Doves foraged in the path near the heron rookery. They were quite timid, so I could only get a distant view. The rookery is situated along the opposite (east) side of a canal. 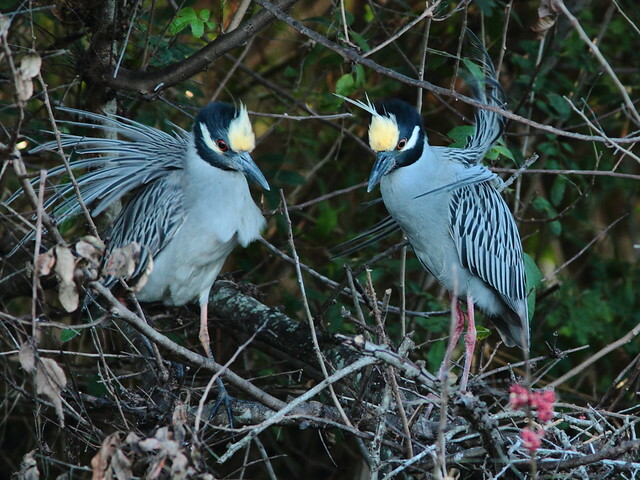 There have been as many as six adult and two immature Yellow-crowned Night-Herons roosting and displaying there this past week. 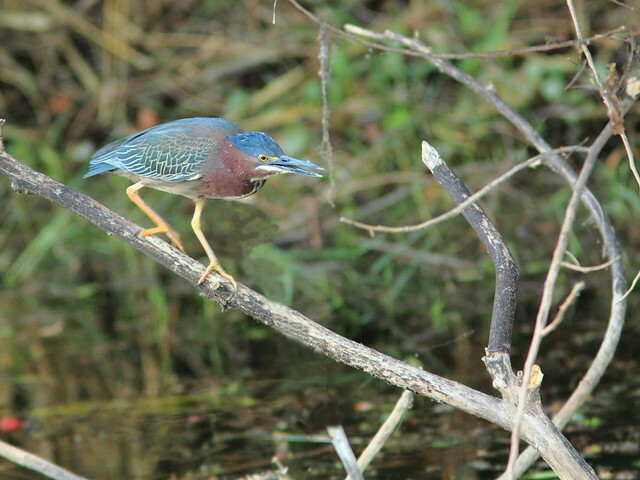 This morning I found five adults, plus a pair of courting Green Herons. 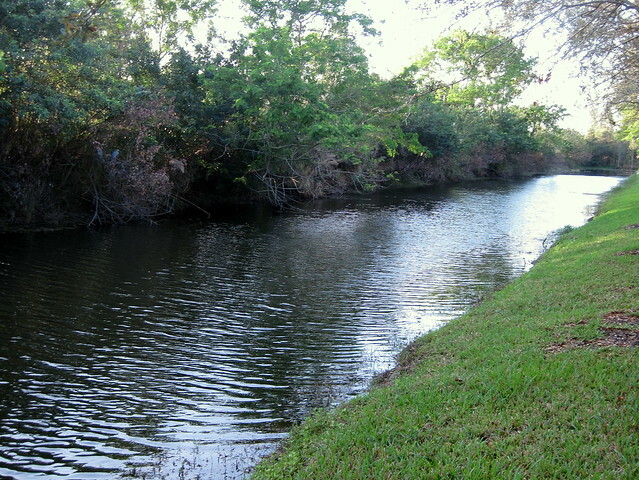 I was disappointed to see that maintenance crews from the South Florida Water Management District had applied herbicide to the vegetation along the bank of the canal. 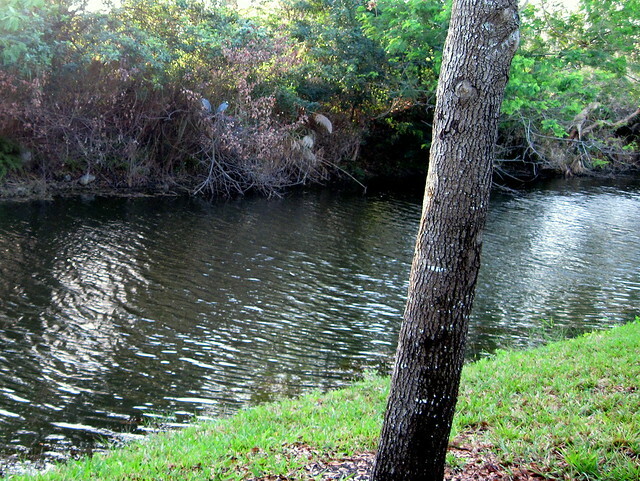 Note the well-demarcated line of brown and denuded branches along the water line. The dead and dying trees are mostly exotic and invasive Brazilian Pepper which crowd out native trees. Most of last year’s heron nests were well-hidden in these trees, usually over the water. 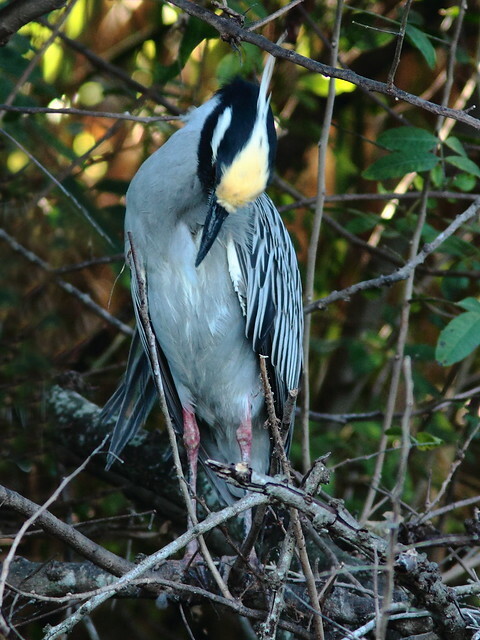 In these photos two herons can be seen at one of last season’s nest sites, well within the herbicide-treated zone. 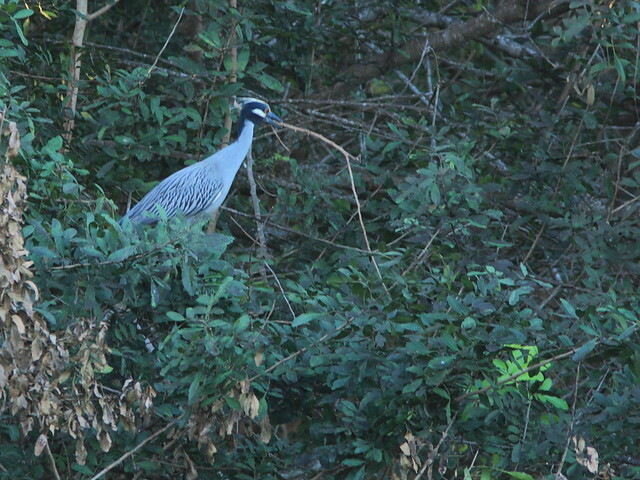 The herons have already been carrying sticks to their old nest sites. Unless the trees recover, their nests and young will be totally exposed. I wonder whether they may now abandon the site. 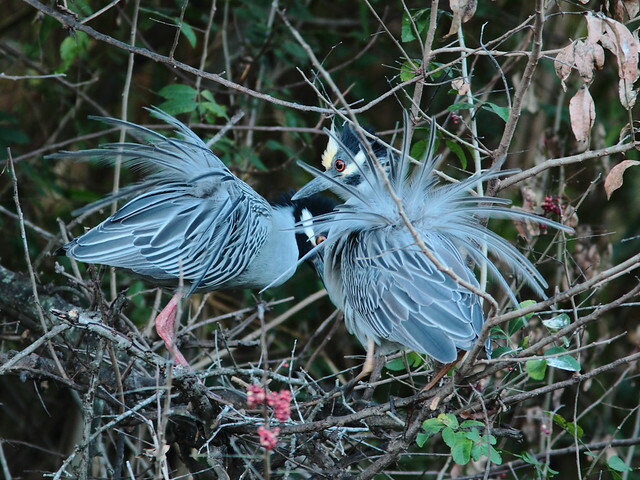 Unaware of the problem, the herons continued to carry out their courtship rituals, this one on the remains of last year’s nest. 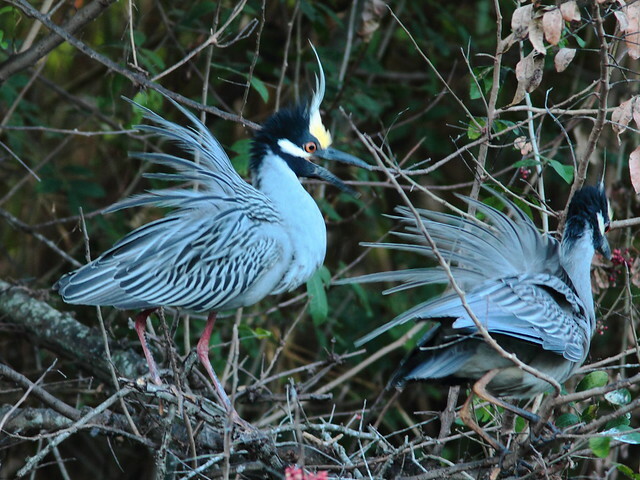 Note the bright red legs of the male heron. This could be interpreted as a disagreement, but birds cannot change their facial expressions. It looks as if they have now reconciled their differences! 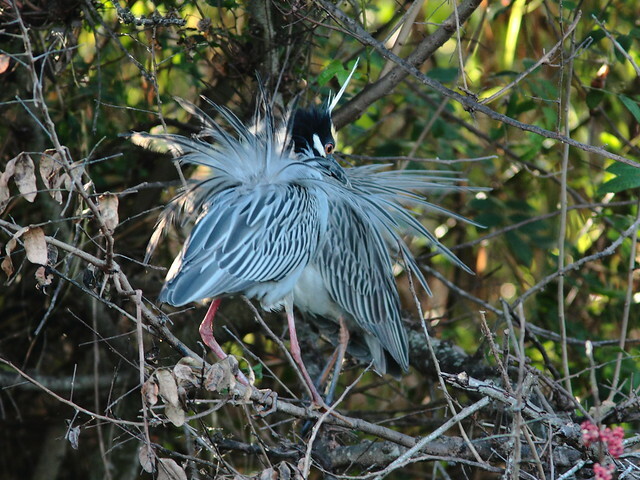 Time to tend to the plumes. 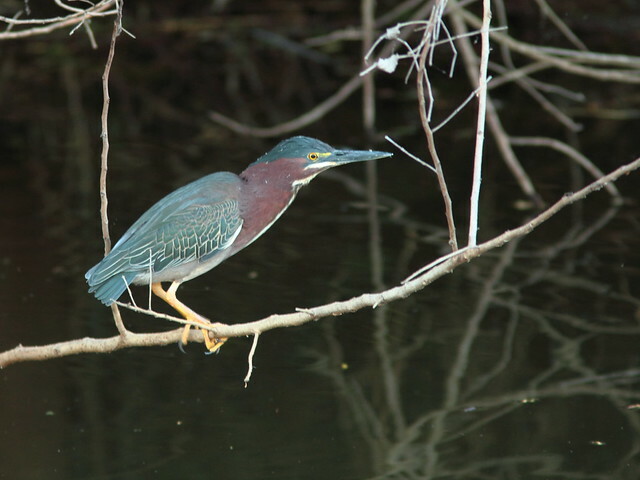 Here is one of the Green Herons. I hesitated about posting information about this rookery, discovered last spring by my neighbor, Scott. There is danger of unnecessary intrusion. Yet almost every evening and all weekend there are “recreational” motorists on ATVs and dirt bikes roaring along the west side of the canal, exactly where I stood to take these photos, only about 30 yards away from the rookery. 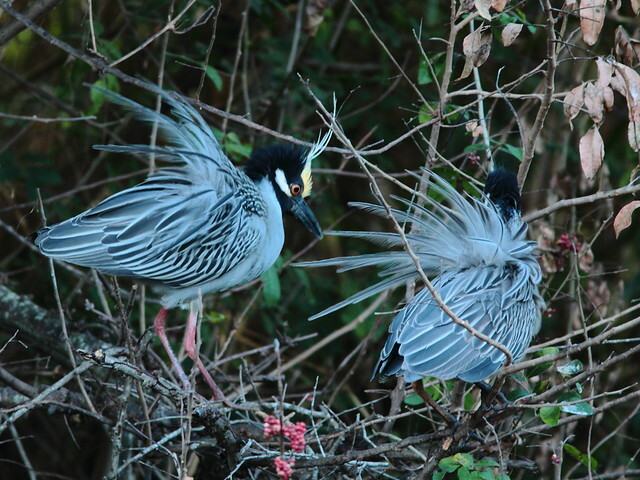 Sure enough, a few birders contacted me and I guided them to see the herons.